This is how I THINK I look… this is how I FEEL like I look. This is not, however HOW I look. This is the “after PhotoShop” version of this picture… thanks to my wonderful friend, Jennifer, who always puts our best faces forward whenever posting pictures on her Facebook… and I ADORE her for it! In my mind, in my heart, THIS is how I look! This IS me. No makeup, no PhotoShop, no creative photo angling. THIS IS ME. What’s the big deal, right? There are no scars, no injuries, no glaring signs that I’ve had horrible things happen to me. What I’m talking about is more subtle… more mental, really… when you really dig into it. The last decade or so, I have been experiencing what a lot of women experience, but are not supposed to admit, are not even supposed to believe themselves… and that is a steady decline in the satisfaction of my appearance as the signs of aging steadily increase. With posting this picture today, I am saying to the world that what I see in the mirror is absolutely NOT the person that I feel like I am inside. I’m a 38 year old woman… not old, but evidently not young anymore. My spirit feels the same as I did at 25, but the shell it’s contained in is really betraying my youthful feeling. Today, I am showing the world that although I still appear to be that carefree, nature-girl, hippie I’ve always been… I am really stressing the hell out about what I see happening in the mirror. And what do I see? 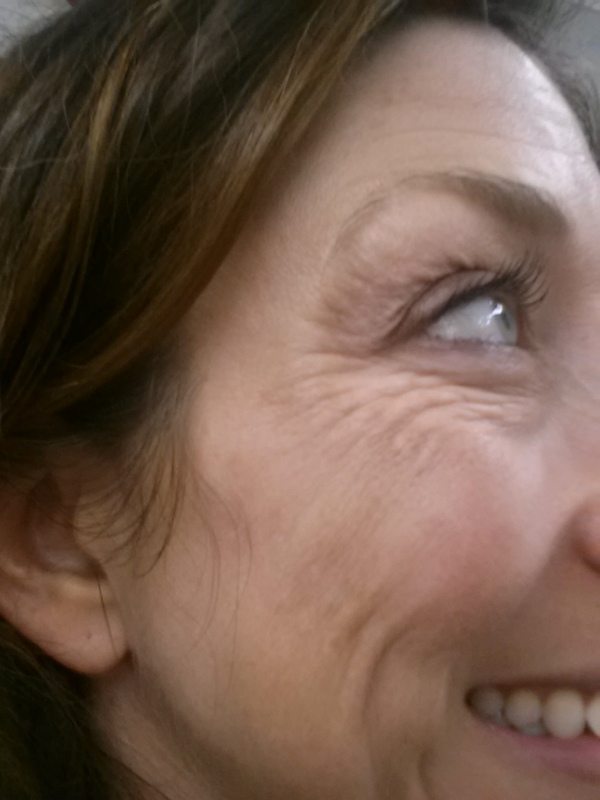 Wrinkles… LOTS and LOTS of wrinkles! Melasma… hyper-pigmentation… sun spots… age spots… whatever you want to call it… it’s big brown patches invading my once lightly-freckled face. Now, mind you, I am only 38. 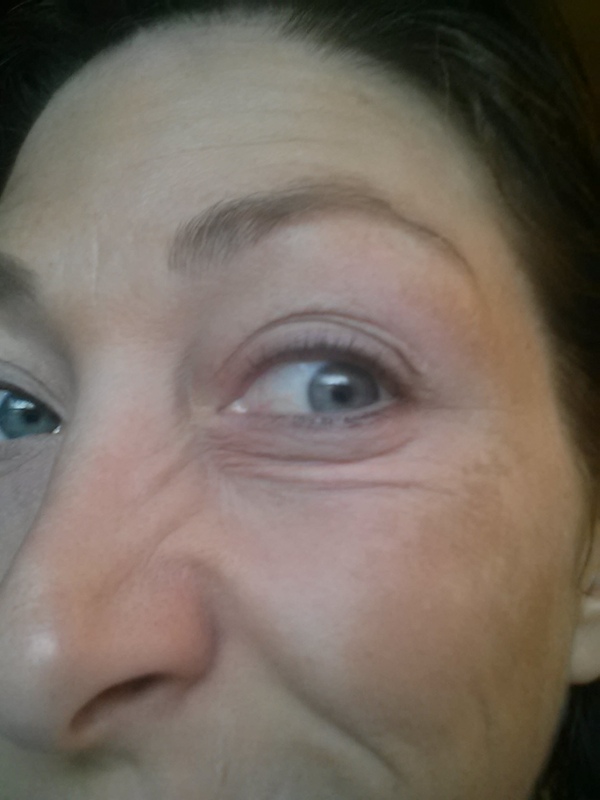 I’m not young, but I’m not old… not old enough for skin that is THIS wrinkled… THIS sun-damaged… this… well… OLD! How did this happen? I’ll tell you – Years of brazen and bold sun bathing… not only without sunscreen, but WITH BABY OIL! I was a child of the 80’s… we didn’t know about the importance of daily sunscreen use… we scoffed at the use of any sunSCREEN… please! Give us coconut-scented sunTAN oil or nothing at all! We wanted to be bronzed and beautiful, and we didn’t know about sun damage, we didn’t even CARE about the possibility of sun damage. Are you all with me on this one?? How crazy were we to think it “couldn’t happen to us?” Well… now we’re in our late 30’s and early 40’s… and… it’s happened to us. Like, gag me with a spoon… right?! I know… I know… I’m not “supposed” to feel like it matters what my skin looks like. I’m not “supposed” to care what others think of my appearance. I’m not “supposed” to let the physical signs of aging get me down. 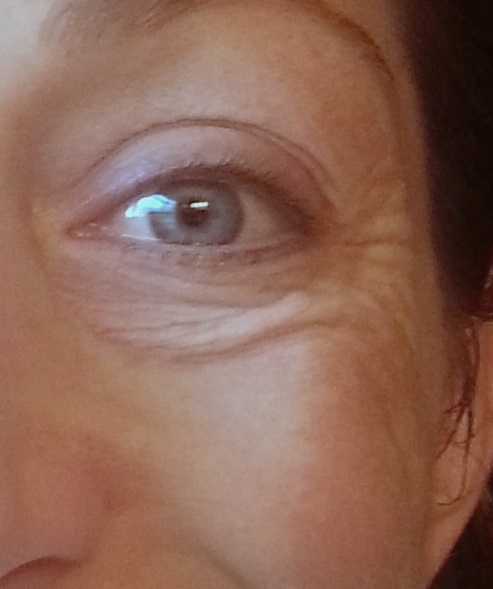 I AM, however, “supposed” to age gracefully and feel like I’ve somehow “earned” these wrinkles from all the smiling I’ve done over the years… from all the “living” I’ve accomplished… from all the blah blah blah total crap that people say to make you feel like what you are concerned about doesn’t matter. Well. I AM concerned! I am. I DO care about what is happening to my face… and I know I’m not the only one… I’m just finally allowing myself to fully admit it. My breaking point, you ask? My engagement day. 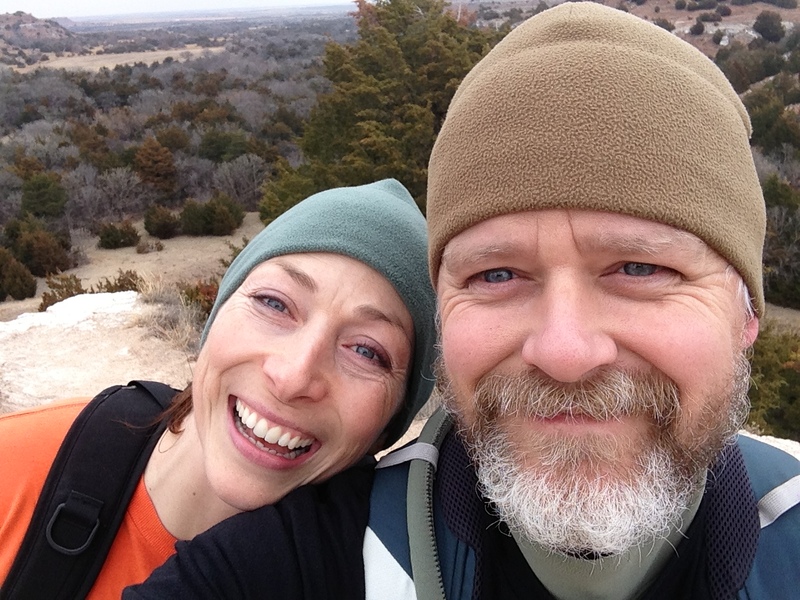 We were hiking in the great outdoors… it was the perfect setting, the perfect timing, the perfect expression of my fiance’s love for me and his hopes for our future. We took a few pictures to remember the moment, and when we returned to civilization, he posted it on Facebook, because he wanted the world to see the moment we made this promise to each other. And do you know what I did? I took one look at the picture and gasped in horror! I looked terrible… all those wrinkles and folds and spots that I hate from that picture above… they were Wham-Bam-Boom-Bang-BUSTING me straight in the Ego – glaring out at me from our engagement moment. I was crushed. Why would this wonderful man want THAT aging and wrinkling woman to be his bride? Isn’t it supposed to be the “beautiful blushing bride” who walks down to greet her future husband? Isn’t the bride supposed to be the most vibrant on her wedding day… so she can look back over the years and see how fresh and alive she was back then? Well, according to this picture, I wouldn’t be ANY of that… and I was panicking. I frantically texted him and asked him to take the picture down. I freaking asked my fiance… who had just pledged his undying love to me… to take down our engagement picture! What a miserable thing to do, right? Who does that?? He was sad that I was so upset, and he told me he thinks that I am beautiful, and that he doesn’t care about wrinkles, and he said all the things he’s supposed to say. And he took down the picture. I thanked him, but, I even dislike this one… although not AS much. I know how terrible that sounds. I KNOW it is not something I am supposed to admit. I know all of this. But the wrinkles… they overshadow the happiness I see on my face. They make me wonder what he sees in me… they make me wish he could have met me 10 years ago when I didn’t have all these issues… they make me scared to death at what the NEXT 10 years will do to my appearance, and what about the 10 after that?! What will he think then? And that makes me very sad… because I should be looking at this picture and seeing our love and being so thankful to have had such a wonderful moment with this man that I love. So. What’s a girl to do? Just blow it off, get over it, don’t worry about it, it’s all surface appearances anyways, right? right!? My best friend has been reading Brene Brown’s books about vulnerability and shame… she defines shame in one interview as “the intensely painful feeling or experience of believing we are flawed and therefore unworthy of acceptance and belonging.” So. I know that this is somehow related, right? It’s pretty obvious. But, still, I just can’t shake the desire that I WANT to look different. I feel like I deserve to look in the mirror and be happy with the face staring back at me. 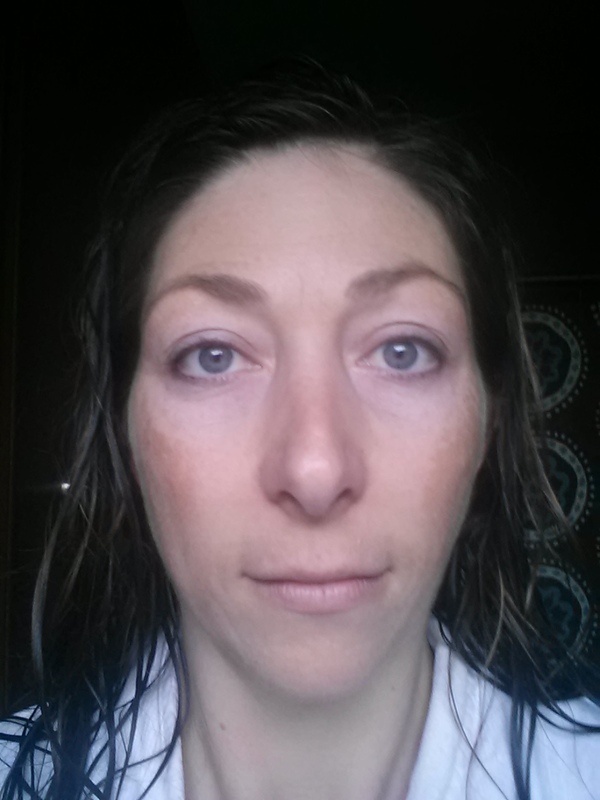 I see women my age, and older, who do not have these same skin issues I am experiencing. 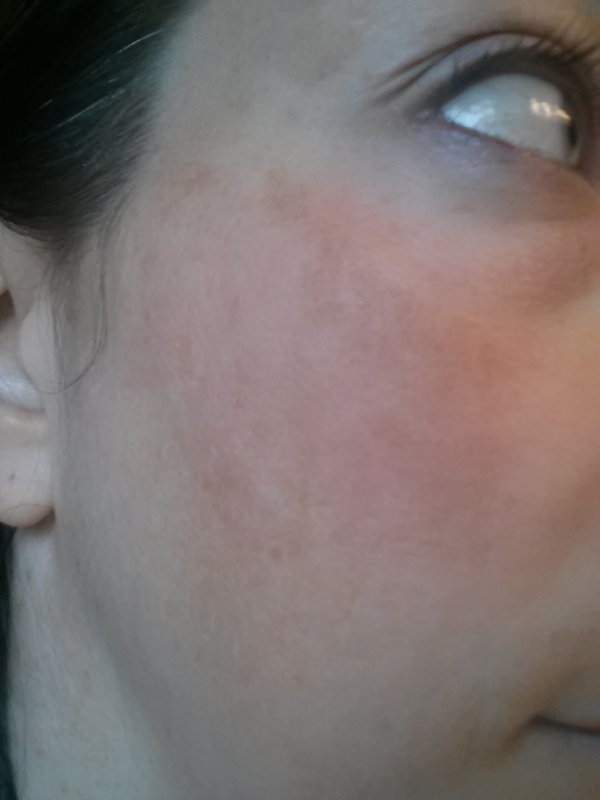 So… I feel kind of betrayed by my skin. Like it is NOT playing nicely. So. 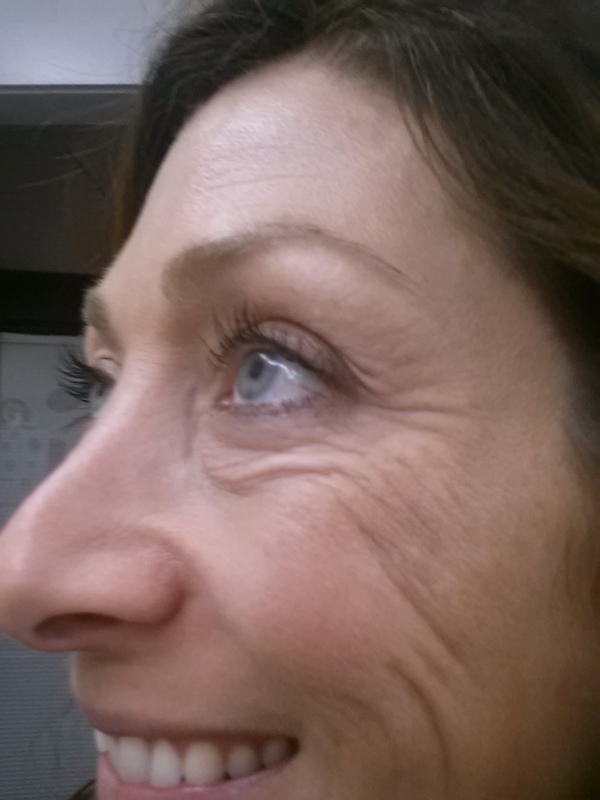 I say “screw you prematurely-aging skin!” I want better skin, and I plan on making it happen. And they just kept getting worse and worse, no matter what products I tried. Any of you have this?? How infuriating is it, right!? Chemical peels, another IPL, lemon juice, Vitamin C serums, yadda, yadda, yadda, I wear sunscreen everyday and the spots are as bad as ever. Hormones + Sun + BCP’s = The Trio of Doom. The last IPL I got, the aesthetician said that any kind of heat will make this flare up – working out, being outside in the heat EVEN WITH SUNSCREEN on, cooking in a hot kitchen, basically anything that makes your body heat rise. Doom… DOOM I say. 2. Under-Eye Sagging. Seriously… like SAGGING. I’m only 38 here, people… this should NOT be happening! I blame it on the eye make-up removal… the rubbing… I’ve been stretching the skin all these years and it never even warned me… I just looked in the mirror one day, smiled, and saw a fold of skin under my left eye… a FOLD!! I couldn’t believe it… I still can’t believe it. The skin is also very very thin and crepey. I know that this also has to do with the evil sun damage, because it’s on my left side. If you haven’t already heard this… hear it now… The sun coming in your CAR WINDOW is causing you SUN DAMAGE! Please… please PLEASE wear sunscreen everyday. I lived in Arizona for 3 1/2 years… never wore sunscreen… I’m absolutely paying for it now. 2. Crows Feet… Yes, I got them from being so cheerful and smiley all these years…but all the while, they were planning to turn the tables and make me want to frown. Don’t forget the cheeks too… is it even possible to have crow’s feet on your cheeks? 3. 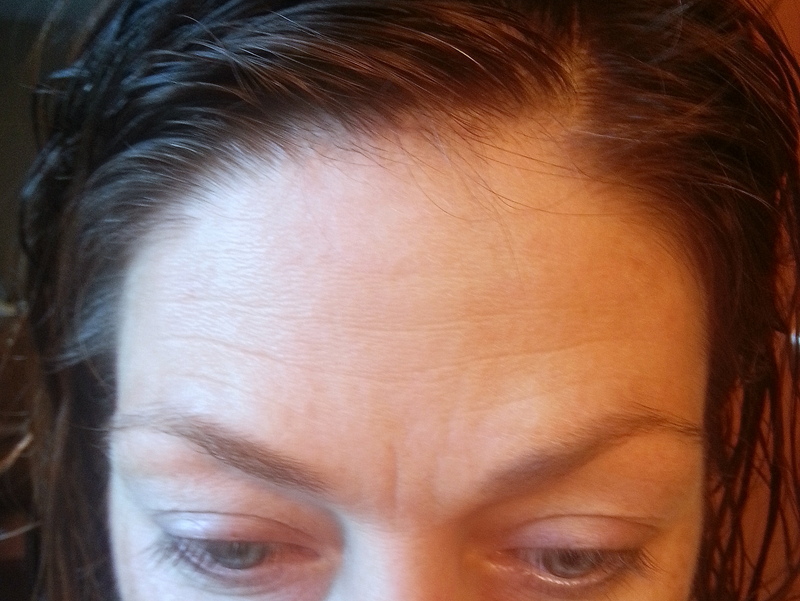 Forehead Lines… as suggested in #2 – I have a lot of expression… in my face (did you get the Seinfeld reference?) so my forehead has been graced with lines for years! I dislike them, but hadn’t worried too much about them.. unitl…I recently had a Botox doc tell me that he suggested getting injections from my hairline to my cheeks. I have the feeling that they MIGHT be worse than I’ve been telling myself they are. 4. 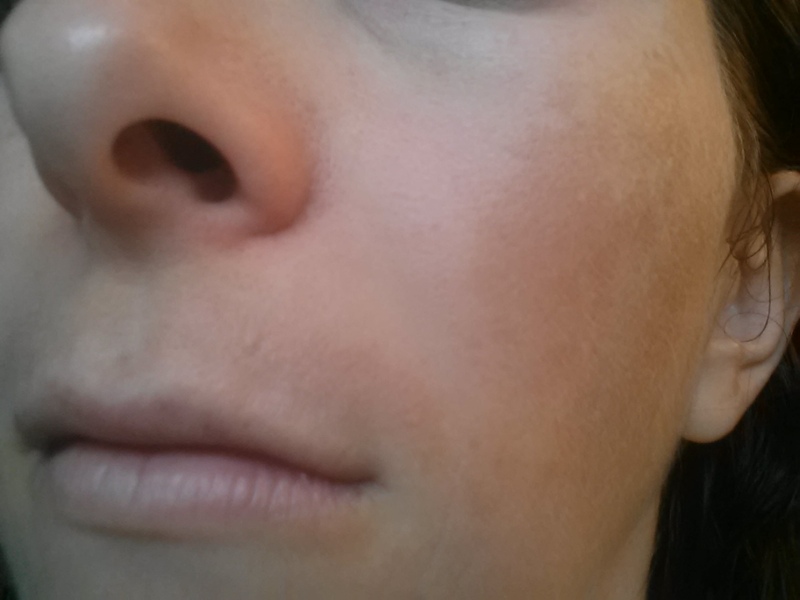 Skin Texture… generally speaking…. it’s an all-over thing. Look at a little kid’s face… it’s like a silky-smooth, supple sheet of thick, juiciness. I have really noticed this since moving in with my fiance and spending time with his little girls every day… then washing my face at night and noticing how UN-silk-like my own skin has become. I think it’s called “orange peel texture?” Which is NOT what you want to say whilst describing your face. Ugh. 5. 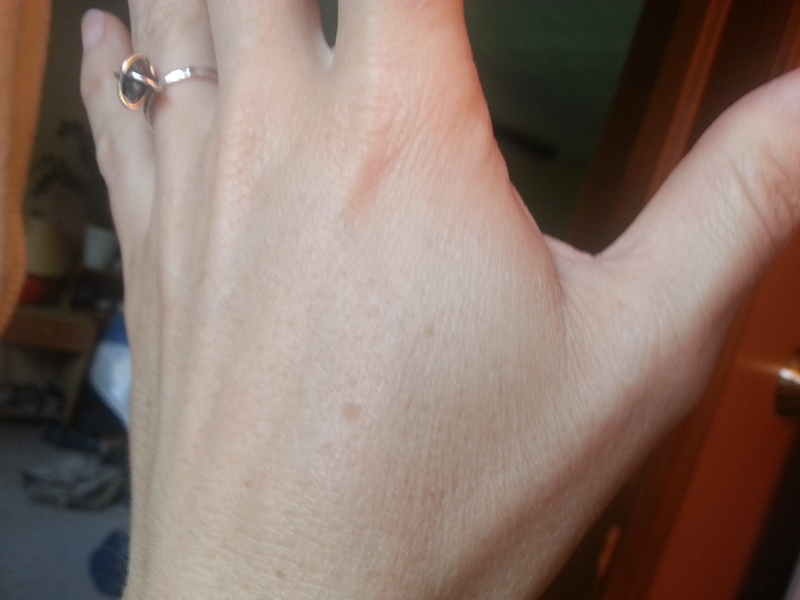 Aging Hands… yep…. I’ve heard it all these years… and now i finally believe it. 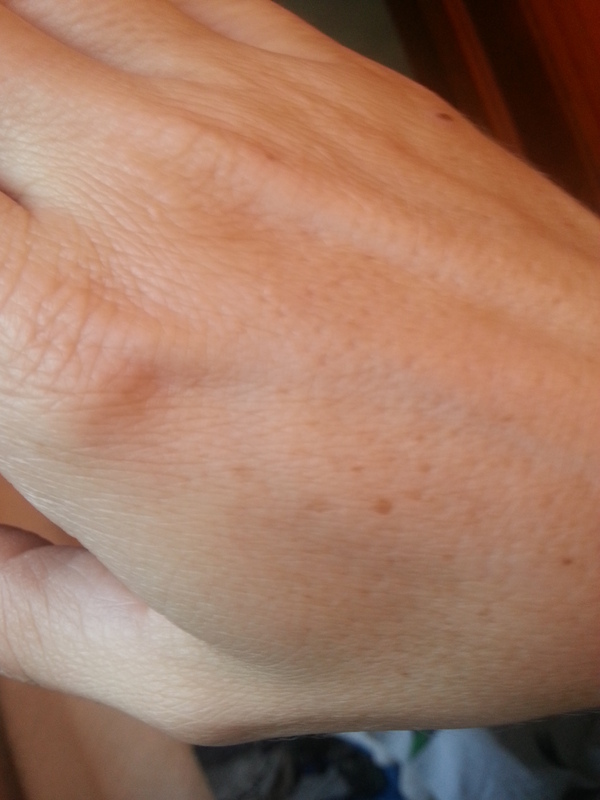 I’ve always loved the way my hands look when they are tan, but now I’m paying for it with these spots that have suddenly appeared. The skin is really thin and dry too. I’m SO not ready for the start of grandma hands. So. What’s a girl to do? Age gracefully? uh, no! Surgery? No… no thanks. There HAS to be a better alternative to that…haven’t I told you, I’m only 38! Laser Resurfacing or Major Chemical Peels could be an option, but I don’t have a week to spend laying around eating bon-bons and hiding out from the world while I peel like a snake. So. What’s the other option? Over the years, I’ve applied creams, lotions, homemade potions of all kinds. 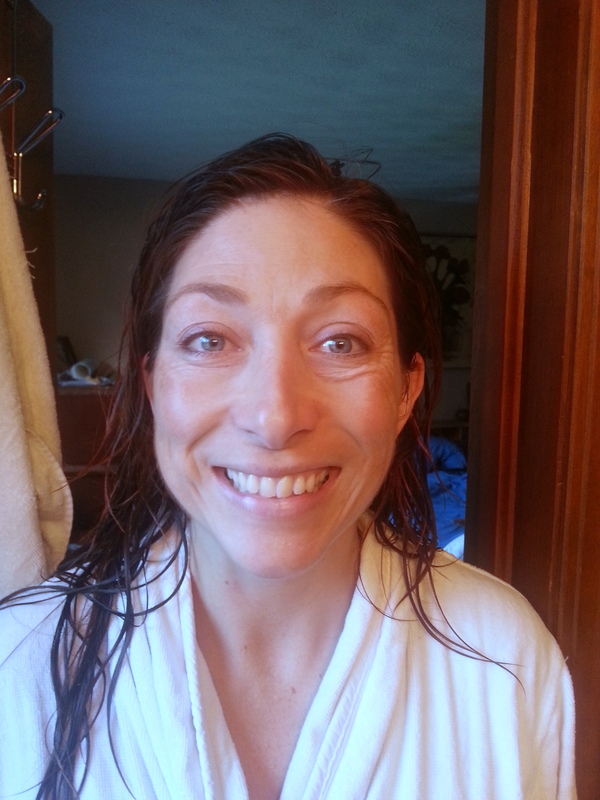 I’ve scrubbed sugar, salt, and several types of mystery dermabrasion crystals all over my face. I’ve applied a multitude of acid and enzyme peels. I’ve gotten intense light pulsed at me, and I’ve even tried the Botox… although I have never spoken a word about it to anybody. (great… now my cover is blown). And still… look at me… reference above pictures, if you must. Now. I have to say that I have never been CONSISTENT with any of these regimens. I have thrown away many many MANY more bottles than I’ve emptied. But today… today things are going to change. My mind is made up. I’m going to see this issue to the end… and I’m going to use this forum to keep me honest. This time I’ve actually taken pictures. I want to see if something out there actually works when used in a dedicated, consistent way. Operation Facial Flash-Back to 2003 has officially begun! 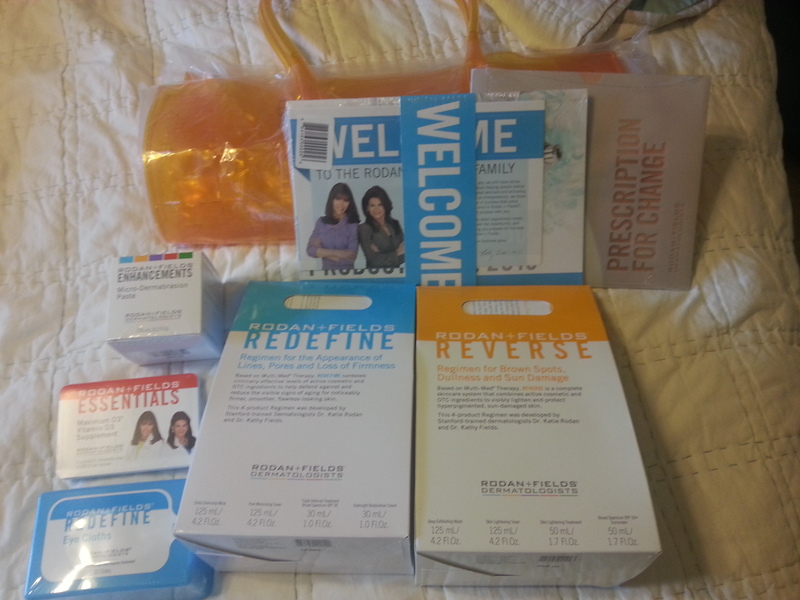 Mission #1… Test the Reverse Regimin by Rodan+Fields for 2 months. (Can you say 60 day money-back guarantee?) Plus… I’m planning on supplementing with some of the Redefine products too, once I get rolling with the Reverse. Here is my first shipment, and I have to tell you, the level of HOPE that I have about this whole thing is growing all the time! I’m actually excited to start seeing results! I’m a very visual person, so I’m going to be posting pictures and videos of my progress. Step 1 – figure out how to get a Youtube channel! Now that that’s done… let’s get the camera rolling and have some fun! This is way out of my comfort zone, exposing myself and my insecurities…. but it will definitely be an adventure! Previous Brine-Cured Pickles – 2 Ways for twice the pucker! Hi! I just found this post today (Jan 2014) and am an Arizona state resident. 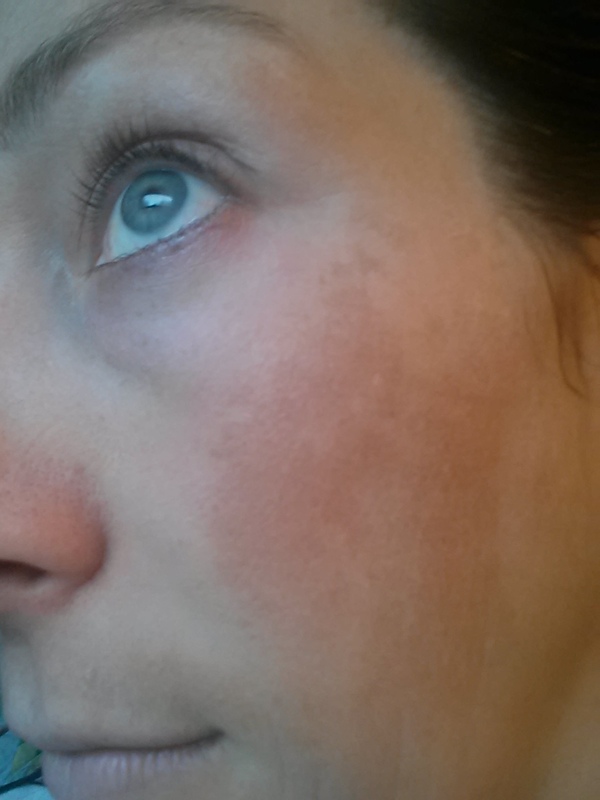 I spent years in the sun without sunscreen and started to notice wrinkles at age 28. I’m almost 32…and I’m freaking out about the sun damage to my skin around my eyes. It is the most obvious! How are the products working for you after 6 mos of use? Hey there! I wrote this post and then life took a really CRAZY turn… so I haven’t posted back. I need to do that! But let me tell you, I am AMAZED by the results… seriously. I have never had a product work like this before. After 1 month i was shocked to see the spots fading. Then I went to Mexico for my honeymoon and wasn’t very diligent with the sunscreen… the came back a bit… but after another month using the products, they were almost gone! They are faded so much that I just switched from this product to their regular anti-aging product line. I will try and post some pics soon. Hey! Thanks so very much for responding so quickly! Please post some updated photos when you have time. When I was 28, an elderly lady said to me, and I quote, “You have crinkly eyes.” Too much fun in the sun! And now, it’s not so fun. 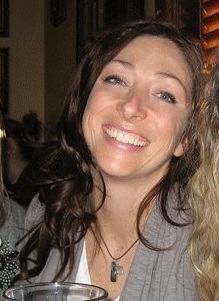 Amy, can you post some after pictures especially have your moustache (or should I say where your moustache used to be)?